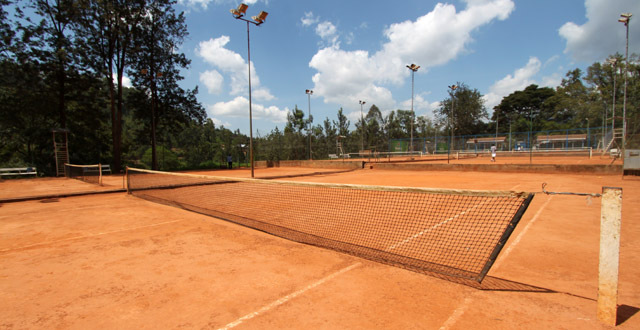 Tennis fans in Kigali are in luck because there are several places to play scattered all around town. With the beautiful weather and clay courts, playing tennis here is fun… and not super expensive, either. Getting ahold of a decent tennis racket and balls in Kigali will be a challenge, though, so it’s probably best to bring your equipment from home. Make sure to also bring a decent sized supply of socks as the clay courts will turn them all a nice shade of orange. Amahoro Stadium has three clay tennis courts over near the basketball stadium. Go through the main entrance and turn right and you’ll eventually find them. They’re behind the basketball building in the corner of the grounds. I spent a long time wandering the rather large property of the stadium in the hot sun in search of these courts so follow my directions unless you want to get stuck doing the same. I did stumble onto a church in a tent and a motorbike training course on my travels, so I guess it was slightly entertaining. While I did eventually locate the courts, I was never able to find a person to ask the prices or for a phone number for bookings. Nobody was playing when I was there on a weekday afternoon. This is where I play as it’s pretty close to my house and I like the atmosphere. I play in the morning and never have to book but it’s known to get busy in the afternoon and evenings. You pay Rwf 1,000 to get into the sports grounds and then it’s an additional Rwf 2,000 to play tennis. If you’re feeling sporty you could also take advantage of their ping pong, volleyball, basketball, and squash areas for an additional 2,000 each. Or chill out by the pool for the same price. They’ve got a restaurant where the brochettes are reportedly tasty and they show sports on the TVs. So if you want to fit in more than just tennis, Cercle Sportif is a great place to play. This Kiyovu hotel has only one court tucked away at the side of the pool and if you play like me you could find yourself launching balls all over the place. The fences around the court are high, but they’re also fairly close to the edge of the playing area which, for me, would most certainly mean a lot of lost balls. It costs Rwf 3,000 to rent the court for an hour. Call Jack at 0788540574 to book. The court rental fee is the same as Cercle Sportif but without the added benefit of being able to take part in other sports or jump in the pool. Here you’ll pay an extra Rwf 5,000 for a swim as opposed to 2,000 at Cercle Sportif. If this isn’t an issue then the court is central with a nice view. Up the road from the US Embassy in Kacyiru, Laico Hotel (formerly known as Novotel) has four courts tucked away to the side of the grounds. The place is busy with all kinds of things going on including the pool, basketball and even table tennis. So it’s a sporty environment to inspire you and if you’re feeling ambitious you can even hit the gym afterwards. Courts are Rwf 2,000 per hour plus an extra Rwf 1,000 if you want to play at night. As with the rest of the courts in town, these ones are clay and seem pretty well maintained. 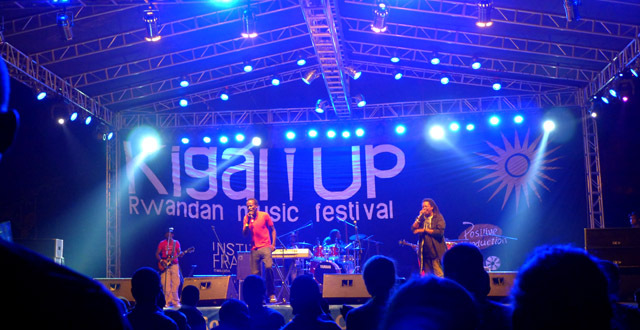 Make sure you bring your own bottle of water with you because a small bottle here costs a crazy Rwf 1,200. If you live out in Nyarutarama then this sports club near the golf course is the place to be. There are a few courts on either side of a quiet road. The woman at the reception desk tells me it costs Rwf 5,000 to rent a court of an hour. This seems pretty expensive when compared to the other courts around town. But I guess Nyarutarama is a pretty swanky part of town, so maybe they’re miking that angle. Who knows. If you want to book a court give them a call on 0255107125. We went to the Umumbano/Novotel/Laico after we had confirmed the prices you are listing one month ago. Surprisingly yesterday the price had gone up to 3.000 Francs/hour PER PLAYER! We felt something was definitely wrong and smelling rip-off but still bit the bullet. After we were done playing we headed to the Nyarutarama Sports Club, AKA Tennis Club and found out that now, their 5.000 Francs/hour/court rate is better than the afore mentioned Novotel deal. The Nyarutarama’s different membership options make playing tennis in Kigali even more affordable and certainly a better alternative to the Umumbano which BTW, offers membership plans, too. Does anyone know whether lessons are offered at any of these places? There are instructors at Amahoro Stadium. I went with a friend and we paid 2,000 for the court and I think 3,000 for the instructor. It’s often crowded since it’s the most affordable place to play tennis.